A MAJOR PUBLIC controversy has broken out after Fu Yue, the director of the winning film for best documentary at this year’s Golden Horse Awards, tearfully declared on stage that she hoped one day to see Taiwan recognized as a politically independent entity. 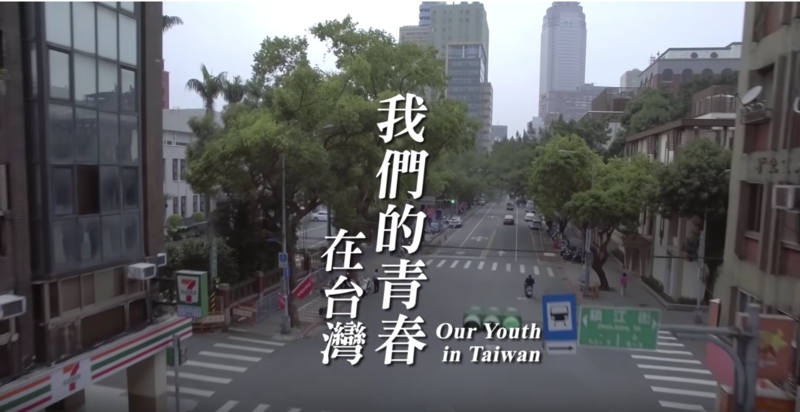 Fu Yue’s film, Our Youth in Taiwan, recounts the 2014 Sunflower Movement in Taiwan, and so in many ways, it is not surprising that her film’s victory would spark controversy, perhaps similar to Ten Years‘ best film victory at the 35th Hong Kong Film Awards in 2015. Nevertheless, it still caught many off guard that a declaration of Taiwanese independence would take place at the so-called “Oscars of the Chinese-speaking world.” According to reports by the Apple Daily, China has now blocked future participation in the awards by Chinese companies. The ramifications of this were immediate, with Chinese actress Gong Li, chair of the jury, refusing to take the stage afterward, and Chinese actor Tu Men, a presenter at this year’s awards ceremony and a former best actor winner, declaring that Taiwan was “Taiwan, China”, and that both sides of the Taiwan Straits were one family in his subsequent comments. 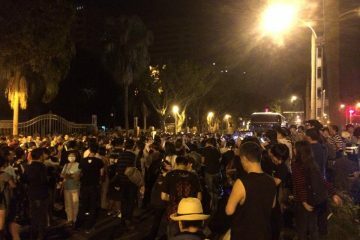 Many Chinese actors and actresses left Taiwan immediately after the ceremony without attending the afterparty, which has been seized on in Taiwan as a sign of the brittleness of Chinese “glass hearts”. 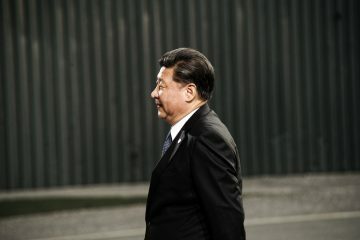 At the same time, as an online essay commenting on the matter pointed out, Chinese celebrities could face targeting by nationalistic Chinese netizens if they did not behave in such a manner, something that could permanently be destroying of their lives and careers simply through guilt by association. 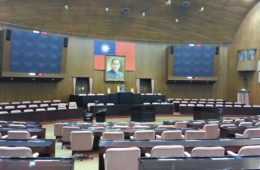 Taiwanese director, Ang Lee, the chair of the committee, afterward seemed to try to ward off future incidents by claiming that art and politics should be kept separate. 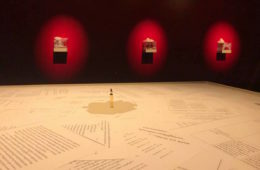 However, this has seen some criticisms in Taiwan, giving the facile nature of the claim that art and politics can ever be entirely separated. If Fu’s film had not won the award, controversy may have very well been sparked by another one of the films in the running for best documentary, Umbrella Diaries: The First Umbrella, which was about the 2014 Umbrella Movement in Hong Kong. 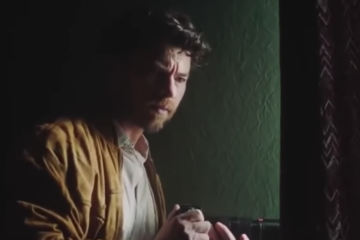 Lee is also known for a Chinese cultural focus in his films, he is sometimes thought of as a waishengren elite, and the camera cutting to his face in the middle of Fu’s speech seemed to indicate a displeased expression. Others suggest that Lee may have simply been trying to “save” the awards or to protect Chinese actors from harm. 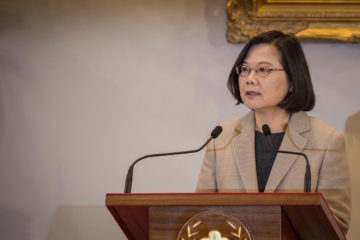 The controversy became large enough that no less than Taiwanese president Tsai Ing-Wen would comment on the matter one day later, expressing that “Taiwan is Taiwan”, that it would never be “Taiwan, China”, and that it was an open and democratic society. Tsai also stated that she was proud of the Golden Horse Awards. 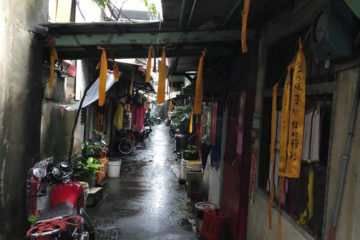 Fu Yue’s film follows two well-known Sunflower Movement activists, Chen Wei-Ting, one of the two most famous student leaders of the movement, and Cai Bo-yi, a Chinese student studying in Taiwan who became involved in Taiwanese activism, came to well-trusted by Taiwanese activists, and was also a participant in the Sunflower Movement. 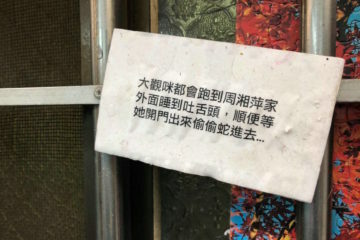 Cai was caught up in controversy after the Sunflower Movement, following an attempt to run for student council president at Tamkang University in order to advance demands that student activists had of the university administration. But this led to Cai coming under scrutiny by those who were skeptical of her, as a Chinese national. 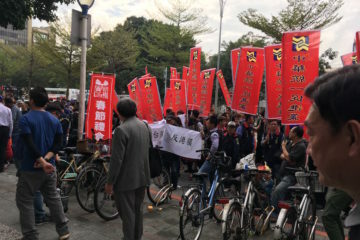 Chen subsequently ran in a by-election for Miaoli county commissioner but withdrew from the election after a past groping incident and other cases of sexual harassment came to light. 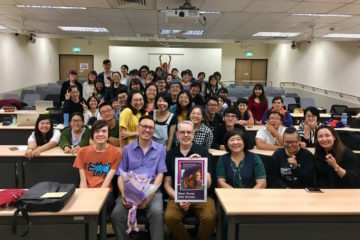 What is striking about Fu’s documentary is that Fu began filming both before they became national-level figures in Taiwan in the course of and in the aftermath of the Sunflower Movement. Fu started to film both in 2012, actually filming a trip that the two took to China before Chen was banned from entering China after the Sunflower Movement, and even filming events such as Chen’s friendship with Joshua Wong of the Umbrella Movement at a point before either was famous. It is also surprising to what extent Chen and Cai both allowed Fu access to their lives. 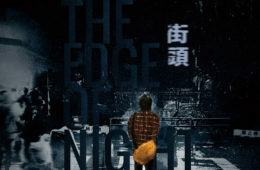 The film follows Chen through the entirety of his sexual harassment scandal. Fu previously produced a documentary specifically focused on this scandal, titled A Perfect Crash (完美墜地), with Chen allowing Fu to capture highly vulnerable, even highly abasing moments. Likewise, Cai allowed Fu to continue filming despite that the Chinese government began to apply pressure to her family after the Sunflower Movement. The film proves not merely a documentary but also becomes a personal story, however, because as the narrative develops, it also becomes the story of Fu’s own struggle with her identity and personal feelings in telling the stories of Chen and Cai. Past films of Fu have engaged with issues regarding Taiwanese identity, such as her 2012 film, Dialogue Between Blue and Green (藍綠對話實驗室), seeing as Fu is of waishengren descent yet identifies with Taiwan. Past comments by Fu reflecting on that she was bullied as a child for not speaking Taiwanese have led to slanderous attacks on her from pan-Green media outlets such as Storm Media, with the attempt to insinuate that she is pro-unification. 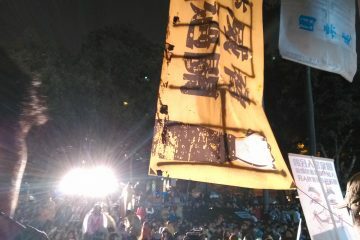 This incident prompted outrage among a number of Taiwanese activists, not only because Fu is known and respected among youth activists, but because this seemed like it was resurrecting old ethnic divides which contemporary activists have tried to move beyond. The relevant article no longer seems to be online in its original form after Fu’s speech at the Golden Horse Awards. 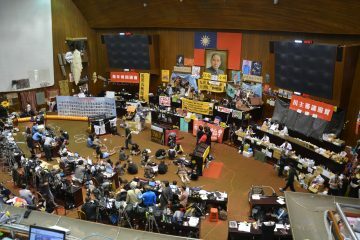 And so it is not surprising that Taiwanese activists have rallied to Fu’s defense. Fu and Taiwanese Minister of Culture, Cheng Li-Chun, who defended the awards ceremony, subsequently saw a large number of attacks on Facebook from Chinese Internet trolls, with criticisms of the film as DPP propaganda, and even accusations that Fu was instructed to act as she did on stage by the DPP. In a response addressing Chinese Internet trolling on Facebook, Fu stated that she had long hoped to conduct dialogue between different people, as observed in previous films as Between Blue and Green, and that this was reflected her film’s three main characters, Chen, Cai, and herself, as two Taiwanese young people and one Chinese young person. It is unknown, however, if attention to the film has led to any threats from Chinese authorities towards Cai or her family. Most Chinese Internet trolling has been directed towards Fu rather than Cai and many Chinese Internet trolls seem unaware that one of the film’s protagonists is Chinese. 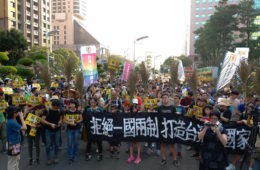 Political statements have taken place at the Golden Horse Awards before from award winners, such as declarations of support for gay marriage or for the return of indigenous territories. 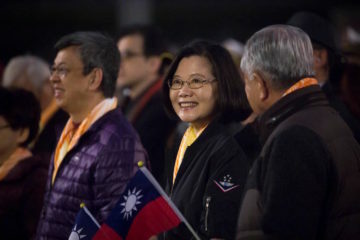 Which political statements at award ceremonies make waves and which do not depends on the circumstances in which they take place, whether in Taiwan or in other contexts. 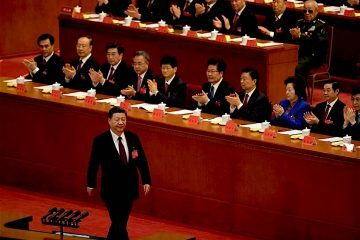 But few political declarations at the Golden Horse Awards have led to explosions as large as the present controversy, nor have they led to consequences as large as China banning future Chinese participation in the awards. In part, this may be a result of that Taiwanese elections will take place later this week. There are strong parallels between this incident and other incidents in the entertainment industry that spotlighted issues of Taiwan’s relation to China shortly before elections, such as the Chou Tzu-yu incident in 2016, concerning a Taiwanese K-pop idol forced to acknowledge by her managers that, as a Taiwanese person, she considered herself to be Chinese. Before news of China’s ban broke, there were already accusations against Fu Yue that she has permanently “ruined the Golden Horse Awards”. This accusation led to a response from Sunflower Movement leader Lin Fei-fan in an essay on Facebook, Lin asserting that it is only because of works of art that engage with social and cultural problems that there are film festivals like the Golden Horse Awards, to begin with. That would be very much the case. We might add, much of the controversy also returns to the complicated politics of the Golden Horse Awards historically. The Golden Horse Awards purport to cover the Chinese-speaking world, but originated from an era in which the Republic of China (ROC) monopolized representation of “China” and the ROC’s film industry was larger than that of the People’s Republic of China. But that era has long passed, and now Taiwan’s film industry is overshadowed by China’s film industry in terms of size and output. As with other Taiwanese industries, in the film industry, there is the strong tendency for Taiwanese directors or actors to self-censor in order to continue working in the Chinese film market, which is now many times larger than the Taiwanese market. Sometimes it is an uphill struggle for directors or actors to make it in the Taiwan market alone, which is increasingly small. Significantly, at present, the Golden Horse Awards still claims to represent all of the “Chinese speaking world”. This fact sometimes leads to questions about why an apparently Taiwanese award ceremony frequently awards its highest honors to Chinese films, as well as questions about why an award ceremony purporting to represent the entire Chinese cultural world was based in Taiwan. 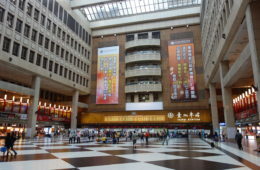 But at the same time, it should also be noted that Taiwanese films are still represented disproportionately to Chinese films at the Golden Horse Awards, and because of the awards’ link to so-called “greater China,” this has allowed Taiwanese films to receive greater exposure on the international stage than they otherwise would. Identity trends in Taiwan being what they are, with increasing identification exclusively with Taiwan and not with China even among those of waishengren descent, it may have only been a matter of time until an incident of this sort took place at the Golden Horse Awards or some other similar awards ceremony. 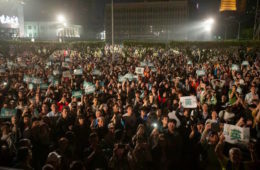 The controversy could potentially lead to a wave of Chinese attempts to crack down on Chinese participation in Taiwanese film industry events, although one thinks that this might actually push more Taiwanese to open independence advocacy out of anger against bullying by China. And so, it could very well be that this controversy will go down as a significant event in the history of Taiwanese film. Perhaps in some ways, this was a historically overdetermined event, which would have taken place sooner or later. 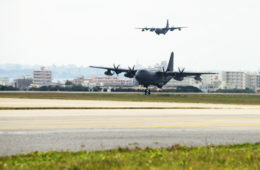 This is another example Taiwan independence extremism causing Taiwan to have even more isolation. If in the past there was an award where chinese artists participated and created harmony between the two sides. Now there will be even more bitterness and animosity. DPP supporters may be happy to cause more animosity, but you cannot forget that you live only 100 miles from the mainland. Your location is fixed forever. 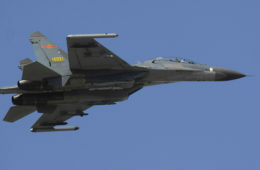 Making Chinese even more angry is not really the recipe of future prosperity for Taiwan. Taiwan is already an independent country, with values of democracy and human rights, values that are utterly incompatible with the Chinese government. 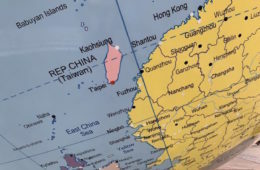 I think we can all agree that Beijing should stop trying to annex Taiwan – leave us alone.